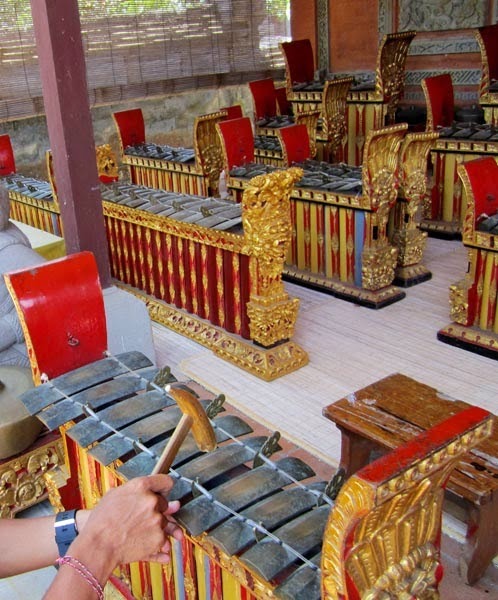 A metallophone is a musical instrument made of tuned metal bars which are struck to make sound with different types of things like a wooden mallet for instance. These are ancient in origin and originally from Asia. 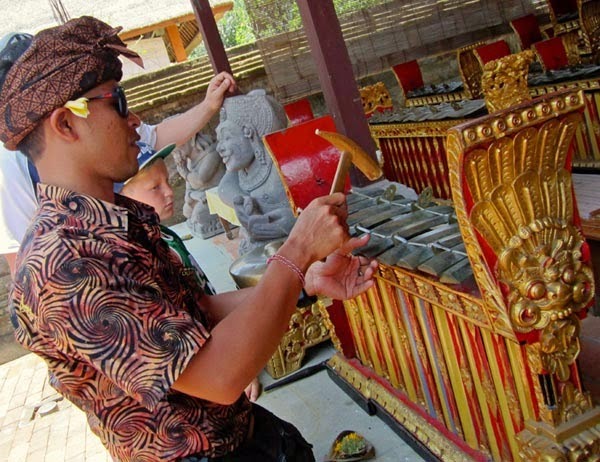 There are many different types of metallophones and these photos are ancient metallophones from Bali, Indonesia. Metallphones have a single row of bars.